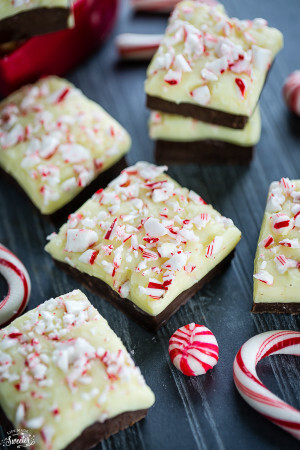 White Chocolate Peppermint Bark is so easy to make and makes the perfect gift for the holidays! It’s that time of year again when we start thinking about homemade gifts. Since my four year old is in school this year, we have three of his teachers to add to the people that we send a holiday treat package too. Along with cookies, caramel corn and fudge — chocolate bark makes a wonderful homemade gift and it couldn’t be easier to make. The hardest part is chopping the chocolate up and then comes the fun part of melting and layering everything on top. Let the layers chill out in the fridge for 30 minutes between layering for best results so that you can see the pretty contrast of color and the crushed candy canes make everything nice and festive. Although you can certainly use chocolate chips to make bark, they do not melt as smooth as high quality chopped chocolate which is so important if you plan on giving some away this season. I highly recommend Ghirardelli, Lindt, or Baker’s brand chocolate when making bark of any variety. 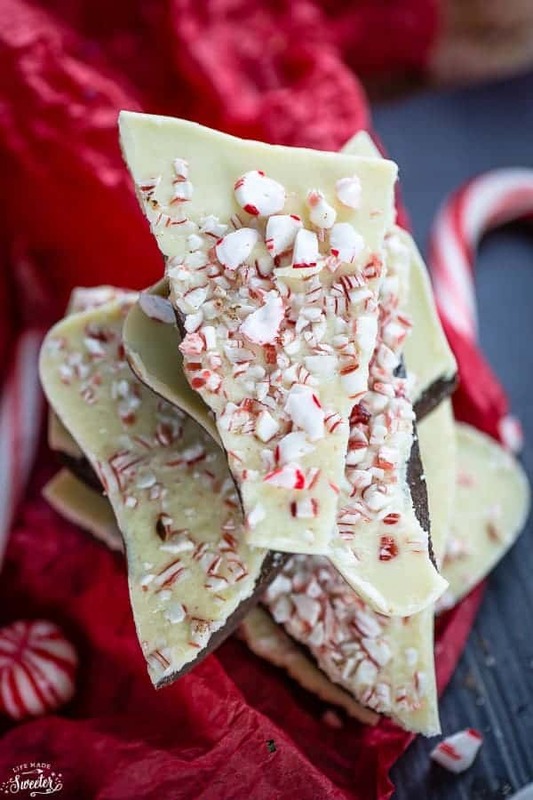 This White Chocolate Peppermint Bark makes a delightful treat and perfect for gift giving! Line a 9 x 9 square pan baking sheet with waxed paper; set aside. In a microwave-safe bowl, melt semi-sweet chocolate in 30-second intervals, stirring after each melting, for 1 to 5 minutes (depending on your microwave). Do not overheat or chocolate will scorch. Stir in the peppermint extract. Spread the chocolate evenly in the prepared pan; chill until set, about 30 minutes. Meanwhile, melt the white chocolate in a microwave-safe bowl in 30-second intervals, stirring for at least 30 seconds after each melting. 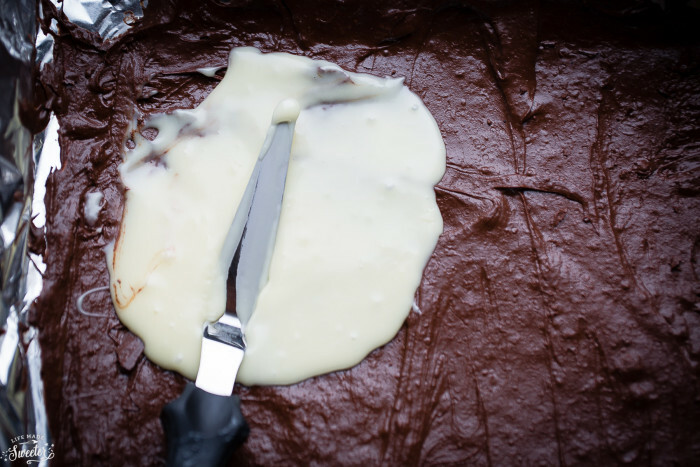 Stop as soon as chocolate is melting to prevent chocolate from ceasing. Spread the white chocolate mixture evenly over the milk chocolate in baking pan. 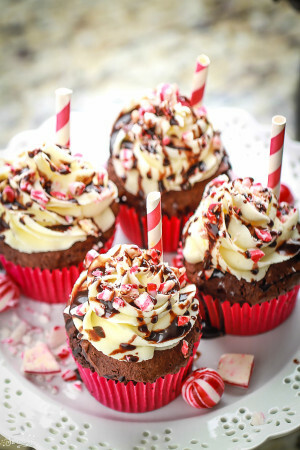 Sprinkle with candy can pieces evenly over the white chocolate layer. Chill until set, about 1 hour. Break into small pieces to serve.